Orlando Special Effects specializes in decorative flame effects, environmental and mechanical effects, pyrotechnics and fireworks. Our services include everything from design, to necessary permitting, to fabrication and installation. From 60-foot balls of flame to pool fires and fog, Orlando Special Effects is your one stop shop for permanent or temporary installation of fire, fog and concussion effects. Special effects equipment such as fog machines, bubble machines, flame projectors and lighting. Also, flame retardant products. 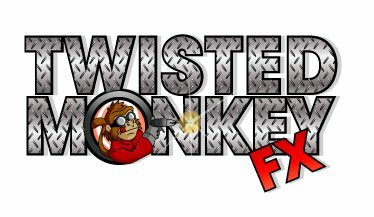 Twisted Monkey FX specializes in high-quality professional grade special effects equipment and Flame Guard. 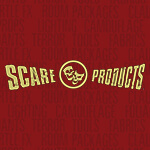 Haunted supplies including Shock cannons, Air Hogs, Water Cannons, MR. Drip, Drop door kits, LED lighting in every color from tiny spotlights to large flickering lanterns, Hanging heads, Clown heads and facades, custom AUDIO and sound systems to match your theme. Consulting for your haunt to include performer training, layout, maze designs, and custom theme's. Contact us today. We offer a variety of confetti systems. We can trash a city block in 60 seconds! These systems normally throw confetti, but they can also throw puffballs, feathers, nerf balls, promotional items, etc. We also offer many different types of fog and smoke effects, from a low-lying fog to a smoke filled room to small steam leaks.